Looks like a legendary demon is taking over Russia’s box office. The latest adaptation of Nikolai Gogol’s Viy scored the biggest opening weekend of all-time, and has grossed over $32 million in 3 weeks. The fantasy-horror film, loosely based on a popular short story written in the 1800s, is about an 18th-century cartographer who sets off to map the uncharted lands of Transylvania only to discover an ancient evil has awoken deep in the forest. The trailer below feels like the dream collaboration of a whimsical Tim Burton combined with a dark-n-edgy Guillermo Del Toro (Sleepy Hollow meets Pan’s Labyrinth?). No release date has been announced for America, although Universal Pictures is handling the international distribution. 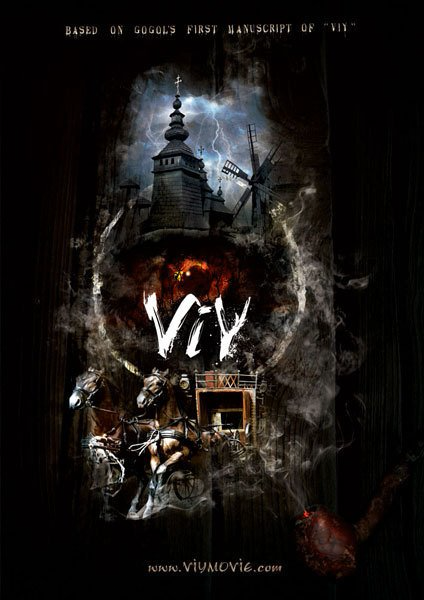 Even though the official Viy site is in Russian, it’s worth stumbling through the site to see the photos of the demons and an extended trailer (second link down on the main page).